The Resorts Online Casino is a super fun website that is easy to navigate! They have a fantastic game selection that will please both slot lovers and table games pro. In fact, there’s no doubt that if you choose to sign-up and claim the welcome bonus they offer you’ll be entertained for hours. As you probably already know the Resort hotel is one of the oldest in Atlantic City. Which leads us to believe that it’s their excellent reputation that allowed them to thrive over the years. Currently, over 80,000 players trust the Resort casino website. So it goes without saying that it’s one of the most popular 100% legal online casino NJ. If you’re not sure why you should join them, make sure to read this review. Our team of experts has fully evaluated this casino so you’ll know everything there is to know before signing up. The Resorts Online Casino distributes over 280 games. They cater for slot players and table games lover. A great thing about The Resorts is that it also has a fantasy sports game. In fact, this casino is the only one that enables players to bet on sport in NJ. Their games are mostly powered by NYX Gaming, NetEnt, WMS, and IGT. Which means that there are many games available on the land-based casino floor that are also available online. It’s the case for the Cleopatra, raging rhino and Zeus slot. But let’s not forget that the resort also has an amazing collection of video poker games. So, if you’re looking to play jacks or better or deuces wild, this casino is right for you. Not only this. but their table games cater for all budgets. Players can play blackjack for as little as $0.10 a hand and up to $25. Players who want to deposit at the Resorts Online Casino can claim a 100% match up bonus. 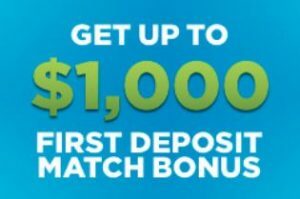 We think it’s a great offer because high rollers can deposit $1000 and will receive an extra $1000 to play with. Since The Resorts casino is lead by experts that understand that some players may want to wager their bonus over several sessions, they give players 30 days to complete the 20x wagering requirements. Players can complete the wagering requirements of the bonus on slots, table games, roulette, and video poker. But of course, games with a lower house edge contribute towards a lesser percentage. You should also know that a deposit on the Resorts website will go a long way. Indeed, players who make 1 deposit will receive $20 on the house the next Saturday. For more information on this promo check out their promotion section on their website. A neat thing about the Resorts Casino loyalty program is that it also works offline. So, if you already have a membership card you can link it to your online casino account. The customer care department can help you with that. The loyalty program has 5 tiers and when you play for real money, you’ll earn RPS points. They’re many rewards you can claim. However, players mostly appreciate that they can exchange their points for real cash rewards. Additionally, it’s worth knowing that loyal players also receive up to 15% discount at the entertainment resort in Atlantic City. When you visit the Resorts Casino website, take a few seconds to browse their rewards section. It contains a lot of information like the required number of points to level up and the full list of benefits members get. The Resorts Online Casino customer care department is opened 24/7. Additionally, this casino also has an extensive FAQ section. So if you ever have a question you don’t need to call them every time. You should also know that they’re many agents waiting to help you via live chat and you can reach someone via email. The Resorts has an extensive selection of easy to use payment methods and their site uses SSL encryption. So you don’t need to worry about the confidentiality of your details if you wanted to claim the bonus. Don’t stick around too long! Head over to the Resorts casino website today and start having fun now. Good luck!